I was the biggest Alice Cooper fan. The day I turned 18, I played his record Eighteen about a hundred times until my parents could't take it anymore. It was wonderful. I become friends with Alice and one day Alice and hiis manager Shep Gordon invited me to come up to his Lake Tahoe concert which included being flown up on his private Jet, "The Starship". 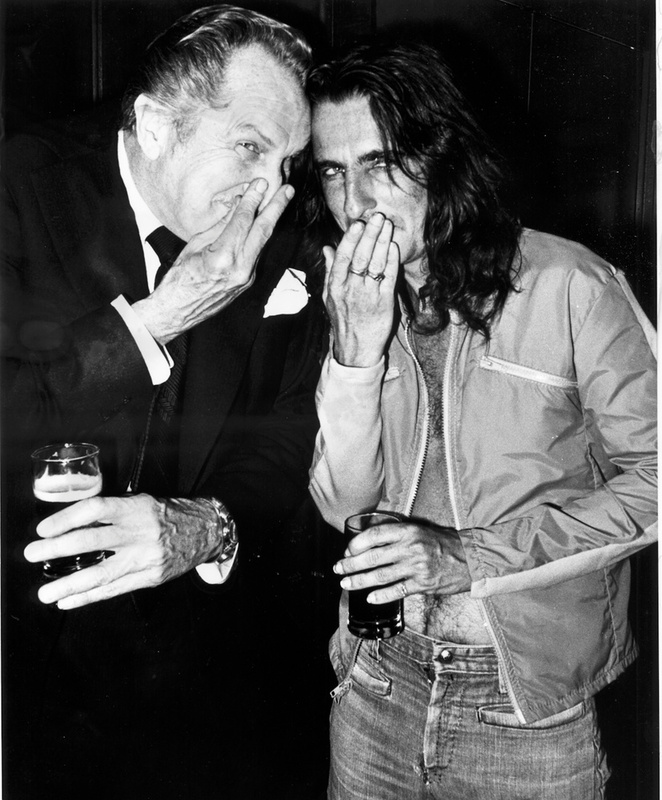 Everything was free and at the after party I was the only photographer who got this photo of Alice with his idol, actor Vincent Price. You had to have been there!